As usual I was supposed to be Christmas shopping for other people when this little sparkly number caught my eye. I only made it just inside the door of my local Primark when it stopped me in my tracks. 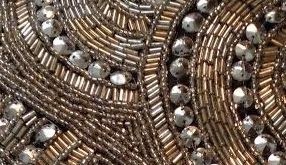 I was pleasantly surprised to find such an intricately beaded bag in Primark. 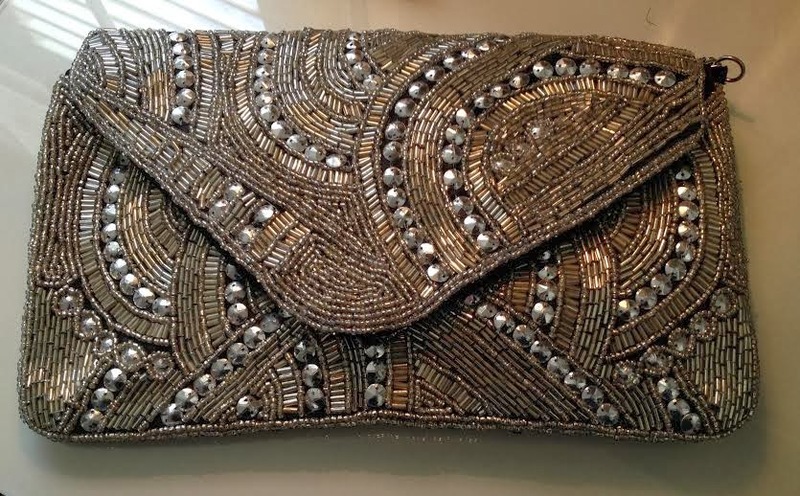 It is a perfectly sized clutch, sufficient for your wallet, phone and all the various other bits that sneak their way in. Plus it had a small zipped pocket which I always find useful to stuff a lipstick or other small things in that would otherwise scatter all over the floor. 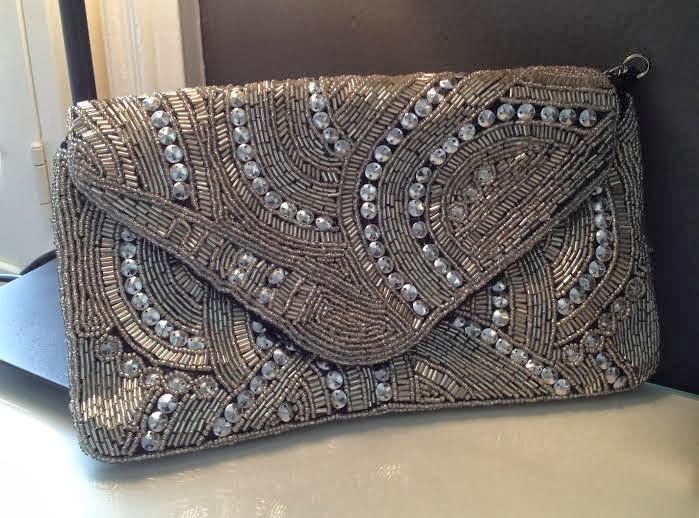 I really love the antiqued silver / pewter colouring of the beading, plus the beading gives the bag a heavier more luxurious feel. Somehow it felt more like something from Accessorize than Primark to me and it was only £10. 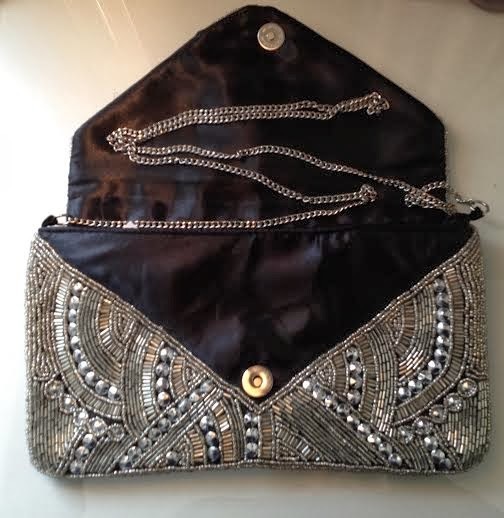 The bag also has a fine chain strap which can either be tucked inside to use it as a clutch. Or I guess you could use it as a shoulder bag, but personally this is too reminiscent of 80s handbags for me (and yes I realise that is back 'in' but it reminds me of my friends' mums when I was a child). 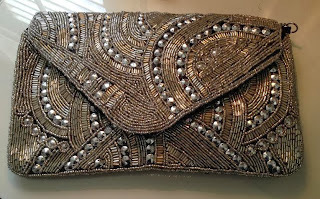 The strap is also just about long enough to wear it as a cross body bag too should it take your fancy - although not sure how well that works with a more delicate style of bag like this. One gripe is that there is no zip across the top of the bag. The clasp is magnetic which gives it a stronger hold, but I would be a teensy bit nervous about small or flat things slipping out unnoticed. I did also wonder how strong the strap would be once loaded up, seeing as it is only Primark. But then it isn't exactly destined for heavy use. Amazingly despite loving it I walked away - rationalising I didn't 'need' it. But pah! I was straight back the next day to buy it. Thank God I did as the whole rack had been sold and I nabbed the last one. Now I'm just waiting for an occasion to use it.